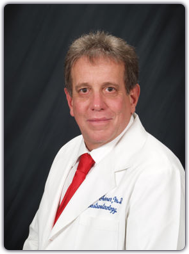 Dr. Jay Cherner, Gastroenterology Consultants, P.C. Welcome to the practice of Dr. Jay Cherner, a division of Gastroenterology Consultants, P.C., serving the residents of North Fulton, East Cobb, Forsyth, and Dawson counties. What sets the practice of Dr. Cherner apart from most is not just the amount of time he spends with his patients, but the quality of that time. Though Dr. Cherner's background in research has served to keep him attuned to developments at the frontier of gastroenterology, when it comes to his style of medical practice, in some ways he is proudly old-fashioned. During his 18 years in solo practice, he has never used "physician extenders" in order to see a higher volume of patients. Dr. Jay Cherner is an Ambetter provider, and he is accepting new patients. Dr. Jay Cherner is a provider for the Emory Healthcare Network. The new Georgia Endoscopy Center is located adjacent to Dr. Cherner's office! 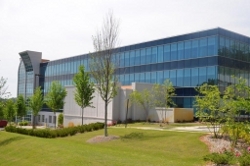 Georgia Endoscopy Center, right off Georgia 400 intersection with Old Milton Hwy, offers the convenience of easy access, state of the art technology, and an emphasis on friendly personal attention that you would expect from a facility under Dr. Cherner’s direction.